Unique range of prepared food for caterers. Handmade using larder ingredients – just as you, the caterer, would make it. 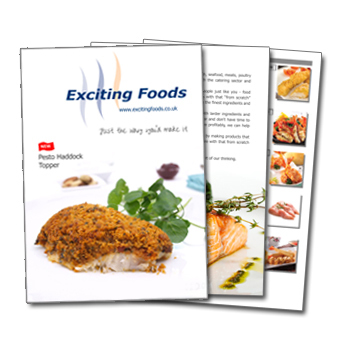 Wide range of meat, poultry, fish, seafood and vegetarian products. Handmade using prime larder ingredients – just as you would make it. Bringing to your catering business consistent high quality and savings in preparation time and waste. See our factory as an extension to your kitchen, making for you handmade centre of plate catering food products. If you need something bespoke we’d be delighted to discuss your ideas. 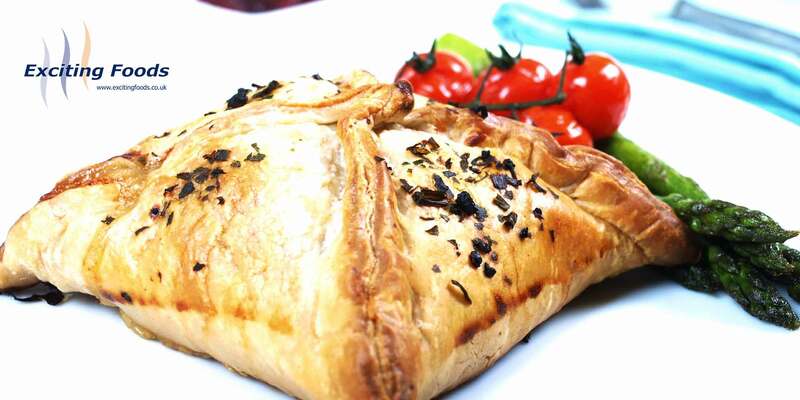 We specialise in handmade ready prepared food for caterers. 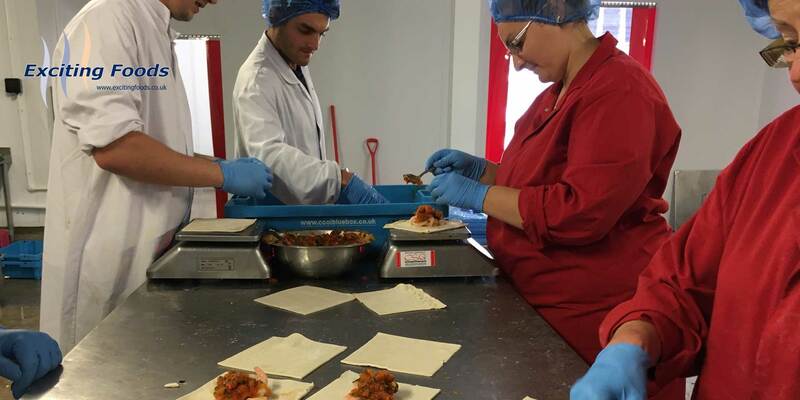 Most of our products are handmade using the finest larder ingredients – just as you, the caterer, would make them. 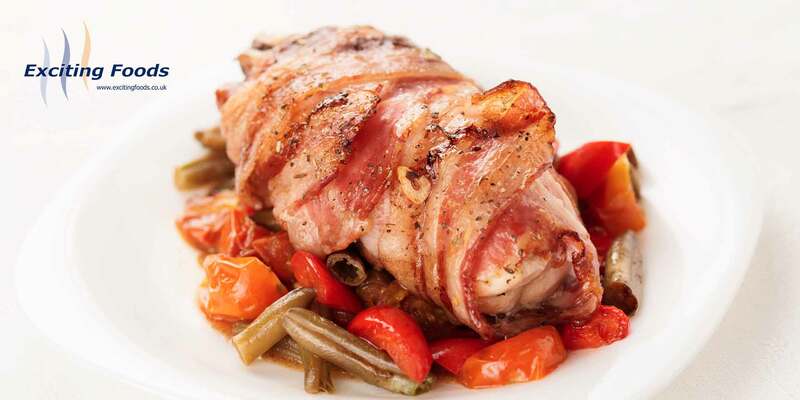 We specialise in meat, poultry, fish and seafood dishes for busy restaurants, hotels and event caterers. By using us you, the caterer, can save the time, cost and waste of making dishes yourself; and, you can be confident that you’ll get from our products a consistent high quality product. As a result you can make your business more profitable. We supply wholesalers and caterers across the UK, delivering from our cold store in Great Grimsby, Lincolnshire. Our range is continually evolving with both new dishes and seasonal products. Therefore there are always new dishes for you to keep your menu fresh and appetizing. The range includes: fish and seafood wellingtons, beef en croute, gourmet dusted fishcakes, steak and ale en croute, en papillote dishes, coquille st jacques, mignon of lamb and a lot more besides! If you are looking for a bespoke product for your menu please do ring us – if we can we’ll help. 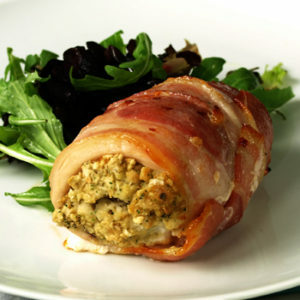 A prime turkey breast portion filled with a cranberry stuffing and wrapped in streaky bacon. Simply oven from frozen. 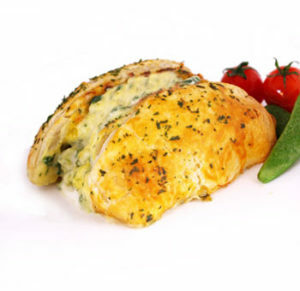 Prime Atlantic Smoked Haddock in a light puff pastry with a rarebit sauce of cheese, butter, cream, mustard and a dash of Worcestershire Sauce. 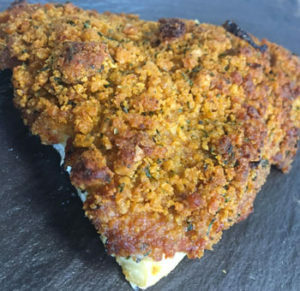 A skinless and boneless tail of Atlantic Haddock with a rich sauce of red pesto, sun dried tomato and oregano all finished with grated Parmesan and a crisp Samurai breadcrumb.